This comprises 14 tuning forks tuned to the vibratory frequencies of the key principle meridians of the acupuncture system. The forks are matched in yinyang pairs and are used to balance the crucial meridian energy pathways of the body with Sound therapy --- the meridian circuits have a direct relationship to the main organs and the endocrine glandular system. The optimum performance of the meridian system is essential to the general health and well being of the body as blockages in these circuits can lead to pain and disease in the body. 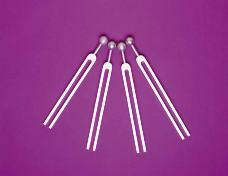 This comprises 8 tuning forks tuned to the vibratory frequencies of the reservoirs or vessels of the acupuncture system. These forks are also matched in yin yang pairs and are used to balance these circuits which have the ability to act as a storage back up system to take excess capacity from the meridians which effectively charges them up. This spare capacity can then be released into the system when energy is required. Balancing the vessels has a normalizing effect on the principle meridian system also. This comprises 8 tuning forks tuned to the vibratory frequencies of the main chakras which are located on the front and back of the body. These spinning centres consist of vortices of high energy coming directly into the body from the sublime planes known collectively as the aura or human energy fields which connect on the physical level into the distribution network of the meridian pathways. The optimum performance of the chakra system is essential to general health and well being as energy blockages in them lead to many aspects of dysfunction across the bio-energetic bio-chemical and bio-logical elements of the body. This comprises 23 tuning forks tuned to the vibratory frequencies of all the spinal column vertebrae and the other main bones of the body including the cranium, pelvis, jaw and long bones of the limbs. These tuning forks are used to treat the very densest bone matter of the body with sound therapy and contact vibration to restore balance to the structural aspects of spinal lesions and dysfunction. 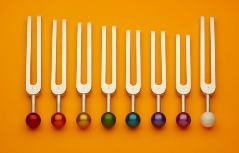 This comprises 14 tuning forks tuned to the best vibratory frequencies that can help generally in the treatment of negative energetic imbalances in the body caused by illness and disease. The human body is sustained by energy referred to as the Vital force the depletion of which can lead to stress and illness. The continual drain on the body’s energy reserves can cause it to become locked into a downward spiral of lowered vitality which can be helped with sound therapy and so aiding in the process of recovery from this negative pattern of ill health. 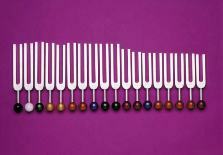 This is a very special set comprising 7 forks tuned to the vibratory frequencies of the octaves of the Universal OM Sound pronounced A-U-M. They have a spiritual quality about their sound and are used in pairs to clear negative blockages and balance the energy in the sublime planes or aura, they are excellent tools for space clearing work. 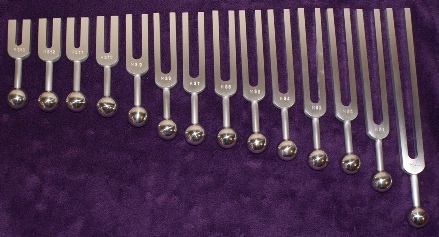 This comprises 14 tuning forks tuned to the vibratory frequencies of all the planets in the earth’s solar system. The set is used to balance the body and mind in relation to the universal aspects of our existence such as our star and birth signs so helping us align ourselves to this unique holographic relationship. 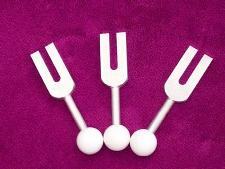 This comprises 18 tuning forks tuned to the vibratory frequencies of all the main muscles of the body. These forks are used to balance the various muscle circuits as defined by kinesiologists which have a direct relationship with the meridian, organ and glandular systems directly. This comprisesf 4 tuning forks tuned to the vibratory frequencies of the main muscles of the jaw or temporo-mandibular joint [TMJ]. This set may be increased to 9 forks by special order to provide further breakdown of the individual muscle circuits feeding this all important area of the body. 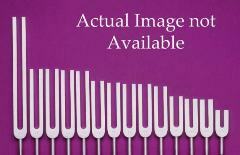 These forks are used to treat the Jaw and therefore by definition its homuncular relationship in the body with sound therapy. This comprises 2 tuning forks with adjustable counter weights tuned to low frequencies in order to replicate the ELF brainwave patterns by a process of differential sound translation. 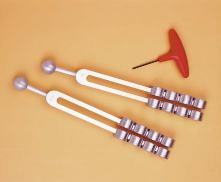 These forks are for specialist use in pairs to create recognition of very low frequencies in the brain. 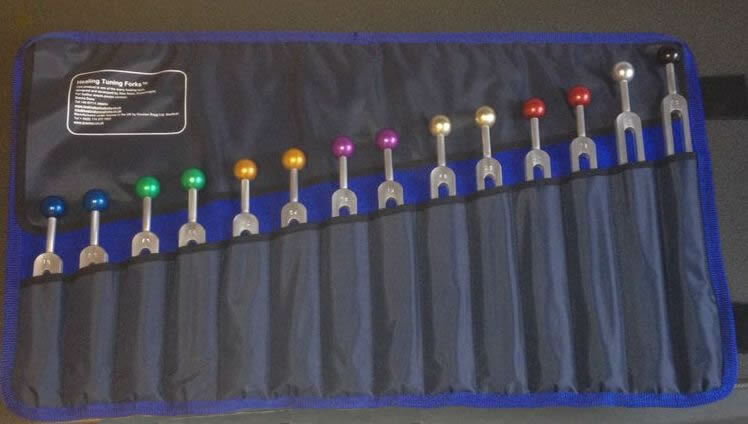 This is a very special set of 9 tuning forks 6 of which are tuned to the vibratory frequencies of the nucleic acid components that make up the DNA molecules in every living cell in the body. The other 3 forks are tuned to the vibratory rate of special syncronisers. These forks are for specialist use and are applied in pairs to treat the constant action of renewal and repair of the DNA in the body by the process of resonance. Genetic Sound can be used in conjunction with Amino Sound a set of forks that will be available shortly to construct a unique resonance pattern of 64 different combinations of DNA codon/amino acid frequencies which are the essence of life itself. These frequencies have a direct relationship to the 64 Hexagrams of the ancient Chinese book the I-Ching. This set comprises of 21 tuning forks tuned to the frequencies of the essential amino acids in the body which are the fundamental constituents of all proteins and which make up the building blocks of life. 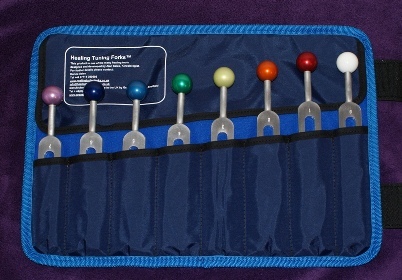 These tuning forks may also be used in conjunction with the RNA/DNA genetic tuning fork set. Thist comprises 25 tuning forks tuned to the main organs and other physical constituents, for example the blood and lymph system of the human body. They are tuned to the normal healthy frequency of each physical element which can by the process of resonance be used to re-balance the organ back to a more positive energetic state. If an organ is under stress or is diseased, it becomes out of synchronisation with the rest of the body and starts to resonate at a frequency below its normal healthy state. This in turn affects the pattern of all of the other organs as they attempt to compensate for this upset in the harmonic pattern of the body. This comprises 3 very special tuning forks which are tuned to the power of crystals, especially quartz which they amplify very effectively.Tthey are normally used to enhance meditation and in body magnetic polarity re-balancing treatments. This comprises 8 tuning forks tuned to the full octave of the Shcumann Resonance waves of the earths natural magnetic field. This frequency also relates to the wavelength that the heart chakra resonates at making them an excellent healing tool to work with. This comprises two individual sets of tuning forks tuned to the energetic vibrational frequencies of nutrition by way of all the main vitamins and minerals. Specifically it contains 28 tuning forks related to the vitamin elements and 14 tuning forks related directly to minerals that sustain the human body in maintaining its growth, repair and vital life force. 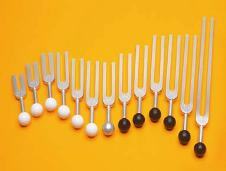 This comprises 10 tuning forks which resonate at the frequencies of crystals in general aswell as the main gem stones. This set is ideal for all therapists that work with any form of crystal or gem therapy as an added way of amplifying the effects of the treatment on the body. 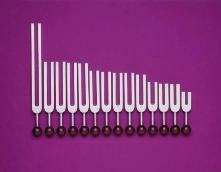 This comprises 14 tuning forks tuned to the full octave of resonances of the biosonic repatterning programme. They are perfect for use in a dynamic application which is normally in pairs having a unique design characteristic and shape developed by the Institute of Cyberkinetics UK. This feature makes them very user friendly, they are extremely flexible and easy to use in the hands during treatment. This comprises 8 tuning forks tuned to the 6 special sacred Solfeggio frequencies with 2 additional special frequencies researched by Alan Sales, these have been added to complete the powerful healing effect and improvement in energetic vitality achievable using Healing Tuning Fork therapy. This comprises 2 individual tuning forks tuned to the notes C and G which produces a unique harmonic musical interva,l when played together. These forks are contained in the Sonic Sound set above. This comprises three very special frequencies used primarily for deep spiritual healing, clearing of detrimental negative energies in the body and in specialist space clearing work. 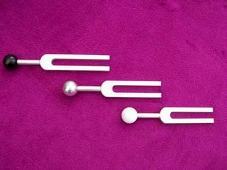 These tuning forks resonate at the frequencies of the positive, neutral and negative aspects of the Holy Trinity. 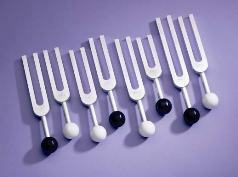 This comprises 4 tuning forks tuned to the physical aspects of the individual resonances of the main DNA nucleotides. As in the case of the Genetic Sound set, these can also be used to rebalance and reprogram the energetic responses and patterns of the DNA codes. This comprises 32 tuning forks covering the frequencies of all the main hormones of the endocrine system which affects every function in the human body. They are ideal for treating hormonal energetic problems, helping maintain homeostasis within the body. This comprises 14 very special frequencies used primarily for deep spiritual healing and the clearing of detrimental negative energies in the body and in specialist space clearing work. 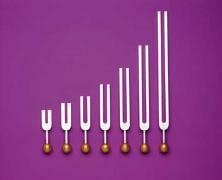 These tuning forks resonate at the frequencies of “magical numbers" or "numerology” and include the positive, neutral and negative aspects of the “Holy Trinity” contained in the Trinity Sound set. This comprises 14 tuning forks tuned to the special “Healing Bible Codes” with additional tuning forks added which have been researched by Alan Sales. These forks have been developed to be used in conjunction with the 72 names of God Hebrew cards and the book “Technology for the Soul" from the teachings of the Kabbalah. 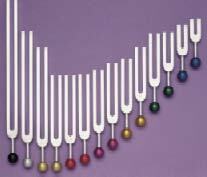 The tuning forks are selected in sequence to recreate the vibrational effect of the 72 Names of God Hebrew names or words of God to offer a connection to the infinite spiritual current that flows throughout the world. 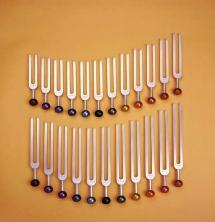 The tuning forks are very special and come with highly polished metal handles in gold and silver. They complete the range of healing tools available having a unique and powerful healing effect on the trinity of mind, body, spirit and the trinity aspects of the soul. There are 3 individual CDs to choose from featuring the Healing Tuning Fork sounds for the chakras, meridians and the all powerful Om Sound. 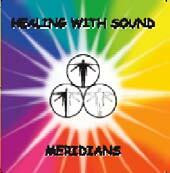 Each individual chakra and meridian track has the option of listening to the associated healing affirmation to support the vital emotional elements. 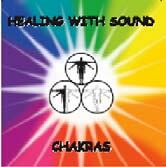 It is recommended that the CD’s be used on a regular basis to promote healing and relaxation. They are particularly effective for balancing the chakra or meridian circuits and for brain integration and meditation in the case of the Om Sound, which can be used as background music for a full healing session etc. Each CD comes with full instructions and explanatory booklet. High quality durable magnets, used for cleansing the tuning forks after each treatment, These magnets will absorb any accumulation of negative energy that may build up. 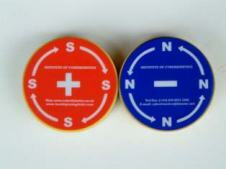 Also a very popular item for use with kinesiology muscle testing. Healing Tuning Forks custom made luxury storage wallets, made from very durable high grade canvas designed especially to protect and aid in the easy selection of forks during your treatments. Additional features includes a sleeve to insert your business card and double velcro fasteners to secure the wallet when rolled up. Professional looking and extremely user friendly.